Good afternoon! I hope all has been well with you! Today have the much loved Jindie Burrrberry to share with you guys. I bought this polish back before Christmas and have worn it a few times now. The colors and the application are truly perfect. One of my favorites by far in the indie world. 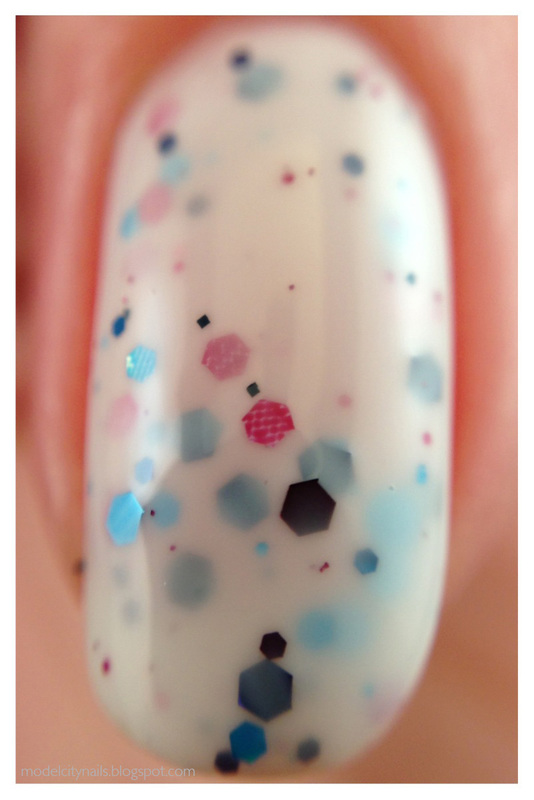 Burrrberry is a white base packed full of various size and shapes in pink, blue, and dark purple glitter. 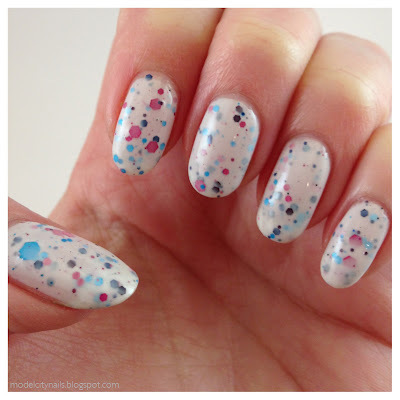 In my photos I am wearing just two coats followed up with Gelous top coat. This polish goes on perfectly and the glitter agrees with every brush stroke. Again I have had this bottle for a few months now and the base is still just as good as the day I bought it and the glitter shows to have no issues. I am sure I will be wearing this one often, may even need to buy a spare. I love her new bottle shape! 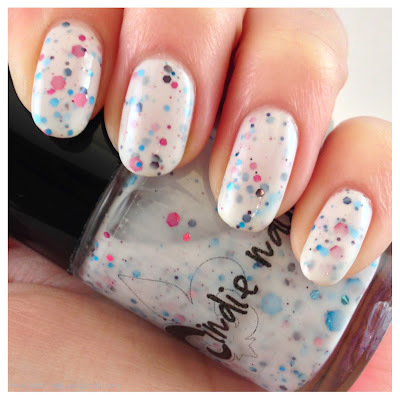 Great white base polish that needs no undies! Look at all of that berry goodness! So what do you guys think of Burrrberry? 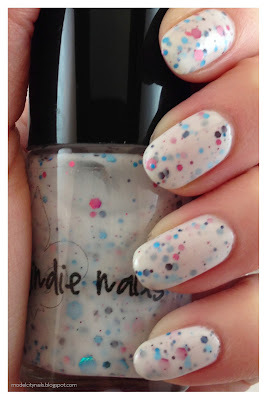 Personally it is one of the many new white base polishes that I adore. You can buy Jindie Polish direct from her on Etsy or you can also purchase from Llarowe. Thanks for stopping by today and I look forward to seeing you again soon.